While back in 2017, we reported an upcoming new Soap Studio Soldier Story Age Of Extinction Optimus Prime statue. It sure took time, but we finally have images of the final product as well as detailed information about it. 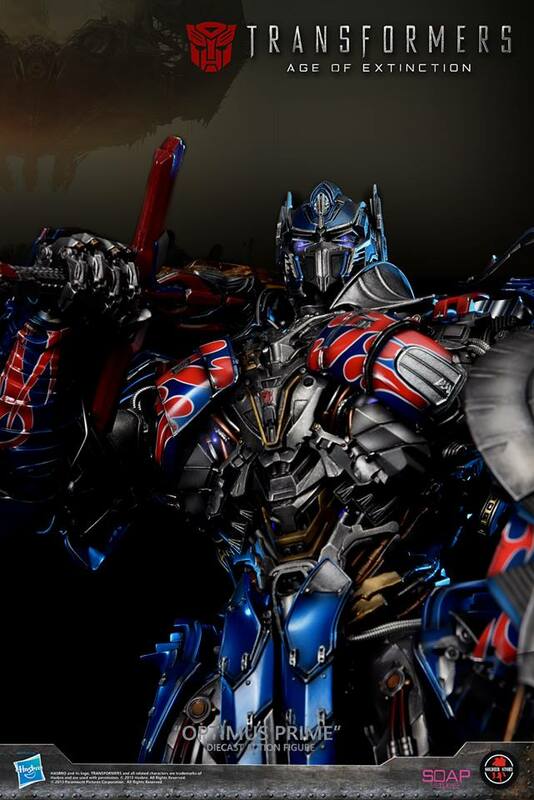 This is one impressive representation of Age Of Extinction Optimus Prime, but to our surprise is more than an statue, since it’s a full detailed and poseable action figure. According to the official product description from Soldier Story Facebook*this figure will feature: 20 Inches tall Over 72 points of articulation Remote control LED Lights and sounds. Magnetic parts Interchangeable &#187; Continue Reading. The post Soap Studio Soldier Story Age Of Extinction Optimus Prime Action Figure Final Product Images appeared first on Transformer World 2005 - TFW2005.COM.